Collett Systems LLC > Email > Email Problems? >>> DATA<<< 550 5.7.1 SPF unauthorized mail is prohibited. Likely, you placed a call to your business email provider with this information in hand wondering just what is going on? Why can’t I send email to my customer? If your current email provider quickly let you know “It’s on their end”, they’re probably 100% accurate. If they followed up with “There is nothing I can do.”, there might be some more explaining to do. So why are messages blocked out of nowhere? So what is Sender Reputation? Spam filtering services keep track of messages throughout their customer base, and the major ones service millions of different mail sites around the globe. This generates an extraordinary amount of data, both from the end-user marking items as junk, as well as various algorithms which find a high level of messages across their deployments from a particular host going to invalid domains and users at those domains. Even non-profits get involved in the anti-spam game, publishing lists of various senders with high levels of abusive business email. With this aggregate of data, companies are VERY fast to provide their customers with up-to-the-minute information on who is spamming and develop lists to stop it. Unfortunately, short of taking on the expense of running your own in-house mail system, and properly managing it, generally the answer is: not much. Your organization isn’t sending out abusive email, and that’s what this is about. OK, then why is my reputation in the tank? If you’re utilizing hosted email from a technology provider, large or small, there is an overwhelming likelihood that you are sharing your good name with an unknown number of other businesses. If just one of these businesses sends out spam or virus-laden email just one time, on purpose or not, there is a very high likelihood this will be detected by one of the companies providing anti-spam services very quickly. Your local or national provider can have all the policies in place not to provide services to dirty businesses (they better! ), however the main source of the reputation deficit comes from malware, not malice on the part of their customers. Any end user that picks up the latest virus among the thousands of users sharing your reputation, likely from inappropriate security measures with inbound mail, will begin blasting spam from their accounts – without their knowledge. Game over, you’re now blocked due to the carelessness of somebody else. Your provider will scramble to repair this reputation by requesting de-listing after the source is isolated and the problem resolved, but the damage is done. You’ve been unable to know your email is reaching it’s intended destination for a week or more. I hope you regain your confidence. Of course. Because of the nature and origin of the vast majority of spam (virus infected computers), it is absolutely critical that mail being sent from your system (shared or not) be treated with the exact scrutiny inbound mail is subject to. That means checking for known spam signatures, virus links as well as total frequency compared to average and invalid user attempts. Because you or your provider have detected and blocked this garbage, there is no risk to your reputation. Not only in the technical sense of reputation – it’s never fun explaining to a client why you’ve filled his mailbox with various advertisements, and put them at risk for a virus attack. You’ll no doubt have to do that in addition to remedying the destruction that unfolds once their anti-spam reports what you’ve been doing to the world at large – they typically start their spam with your address book. Not good. Some businesses rely on email to such a degree that even with this proactive system to stop others from damaging your reputation while using shared hosting, they require complete isolation and their own dedicated sending host. This is easily accomplished with our services but does add some expense. The #2 cause of non-delivery to valid addressees is misconfigured technical parameters. New technology is being rapidly deployed which pro-actively prevents spam by signing messages with DKIM and SPF technology that authenticates who can send from where – eliminating forged addresses that spammers require in order to do their work. A provider that doesn’t view email continuity and service a top priority will often neglect these – the technology doesn’t set itself up, there won’t be any additional revenue generated by it, and almost positively will add additional expense to the equation – Why Bother? If your current provider has not implemented SPF and DKIM singing of messages by now this is a problem. A large number of providers refuse to do so to date. 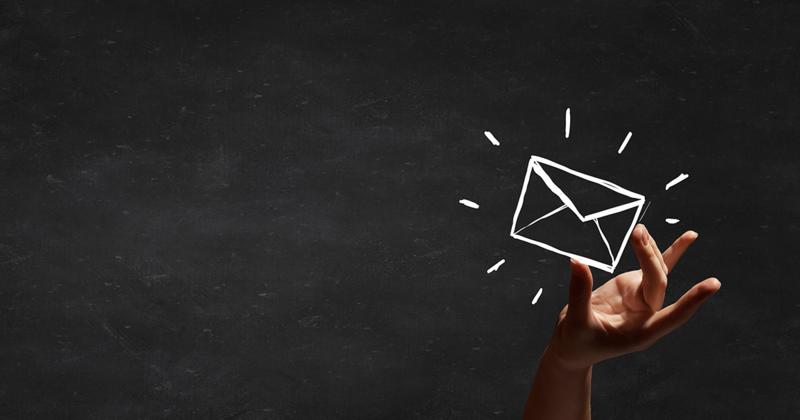 Collett Systems understands that email server reputation is everything, and without it, users are bound to have continual, seemingly random problems getting messages where they need to be. It just has to happen once to the right email to cause a big problem. Call for a free no-obligation consultation. Switching is hassle-free and we’re happy to investigate your problems to ensure they will be absolutely, positively resolved by making the switch at no charge at all.